Rev. Albert C. Roberts, 82, went home to be with the Lord on Thursday July 5, 2018 surrounded by his family. He was born on August 15, 1935 to the late Dorsey and Dovie Roberts. The Lord always came first in Alberts life. He had a big heart and was very generous. He was one of the pastors at Christian Lighthouse Church and when he started preaching, the people would come. Albert is survived by his loving wife of 29 years, Janet E. Zahn Roberts; son Albert Wayne (Glorysten); daughters Kelli Jo, Janelle, Melanie, and Suzi; brothers Conley, Luther, and Larry Roberts; sisters Annalee Roberts Kitchen and Elaree Roberts Yates; 17 Grandchildren and numerous Great Grandchildren. 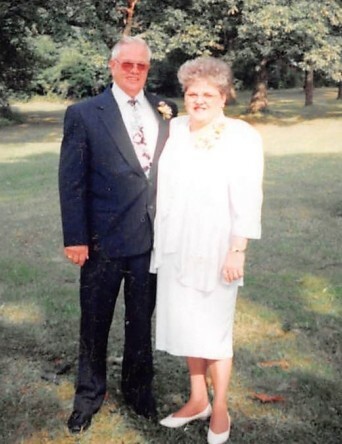 Preceded in death by his parents, children Wanda Jean and Alan Wayde; brothers Boone, Louis, Harlan, Dorsey Jr., Delbert and Bobby, and grandchildren Patsy and Roger Rankin Jr. Visitation will be held Thursday July 12, 2018 from 12:30 – 2:00 PM at Edwards Funeral Service 318 Mt. Vernon Ave., Marion, OH 43302. Burial will follow at Marion Cemetery with Pastor Jerry Harrison officiating.